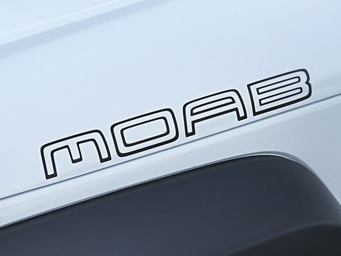 Whether you're replacing a damaged Moab decal on your Jeep or you just want to upgrade and improve your vehicle's appearance, JustforJeeps.com has you covered. 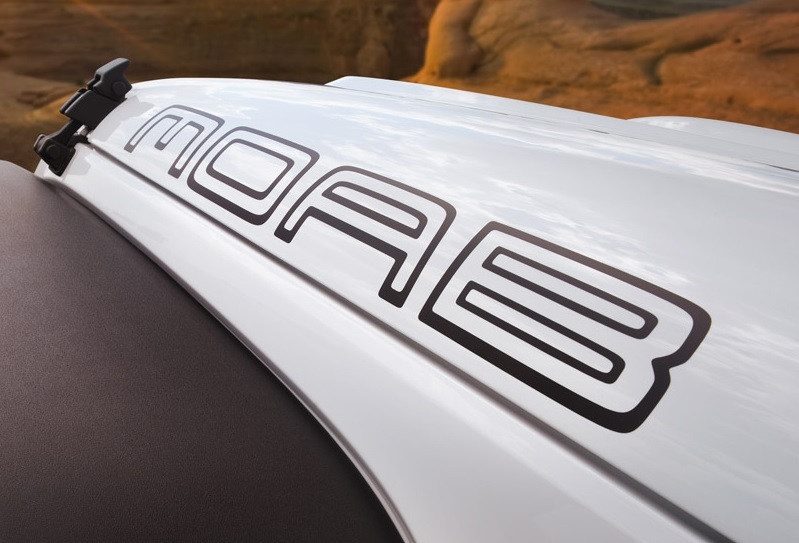 This Mopar Moab hood decal features the classic black lettering that's found on the 2013 Moab Edition Jeep Wrangler. It measures 22.5 inches by 2.5 inches and is designed to fit on the hood, just above the fender. These decals are sold individually for your convenience. Decal measures 22.5" x 2.5"